I did this tattoo for Ryan Kaufman. 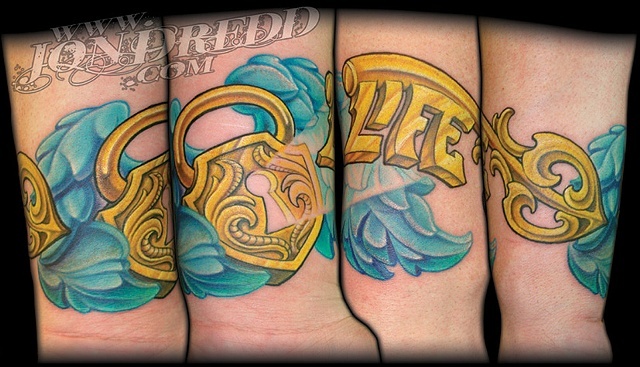 He is a talented tattoo artist from Maryland, who I see out often at various conventions. The concept was one he brought to me, and I got a chance to put my spin on it, and I love how this came out! Wrapping it around the wrist has some lay out challenges, but this has the flow to draw your eye in and around the whole piece.